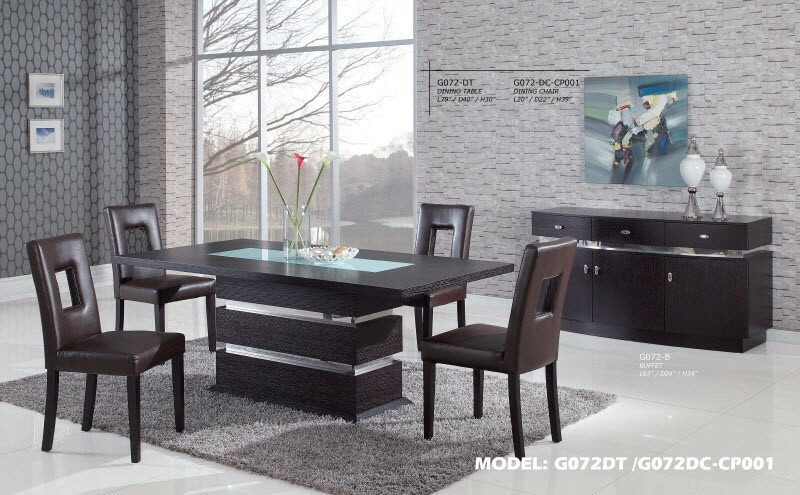 If you like modern style in your dining room and looking for something practical and durable than G72DT is a perfect choice. 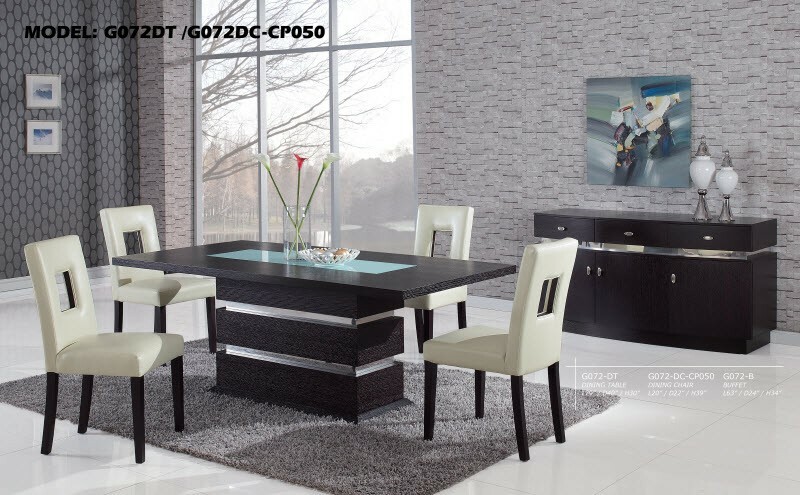 Constructed of wood in a rich dark brown finish it offers chrome finished pieces, large pedestal table, cut-out back leather chairs and buffet. Chair: L20" x D22" x H39"
Buffet: L63" x D24" x H34"
This dining room table comes in a matching dark brown finished wood with chromed I unique chromed inserts on the pedestal base. Large top features frosted glass which is securely built-in. This modern creativity at its best is manufactured by Global Furniture USA and has been around for years. brown or white leather either one will match perfectly to the set. Buffet is also available and also comes in a dark brown finished wood featuring three drawers and cabinets. Chromed lining and hardware underline this gorgeous modern design. Spacious top of the buffet can be used for displaying lamps or anything else that will bring more modern style to your dining room.